Critically acclaimed and Tony-nominated tap dance master and all-around performer, Maurice Hines heads to the New Jersey Performing Arts Center for a master class in showmanship and talent. With a career that has spanned almost 40 years, Hines is one of the worlds greatest tap dancers, don't miss your chance to see this legend perform live! In this unique event, Hines will be joined by his proteges The Manzari Brothers and the acclaimed all-female DIVA Jazz Orchestra as he performs some of his most iconic moves, as well as singing a range of songs that pay homage to those who have inspired him throughout his career. Not only a great dancer and talented singer, but Hines also has an enigmatic stage presence. His effervescent personality shines as he chats easily with the audience, making them feel a part of the magic! Beginning his career alongside his late brother, the great Gregory Hines, the duo became household names as they toured extensively as the opening act for great performers like Lionel Hampton and Gypsy Rose Lee. The duo also enjoyed a hugely popular Las Vegas residency with a 'Hines, Hines and Dad' where the pair were joined by their father on stage. The show was such a hit that they toured it throughout Europe and appeared on TV shows like The Pearl Bailey Show, The Hollywood Palace, and The Tonight Show. Deciding to go solo in the late 70s Hines starred in the national tour of Guys and Dolls as Nathan Detroit, before returning to Broadway in Eubie! Hines' other Broadway credits include The Girl in Pink Tights (1954), Bring Back Birdie, Sophisticated Ladies (1981) and Uptown...It's Hot! (1986) for which he garnered the Tony nomination for Best Actor in a Musical. Sound good to you? 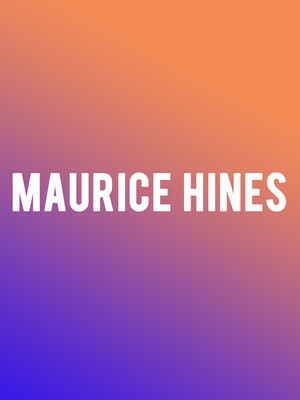 Share this page on social media and let your friends know about Maurice Hines at Victoria Theater. Please note: The term Victoria Theater and/or Maurice Hines as well as all associated graphics, logos, and/or other trademarks, tradenames or copyrights are the property of the Victoria Theater and/or Maurice Hines and are used herein for factual descriptive purposes only. 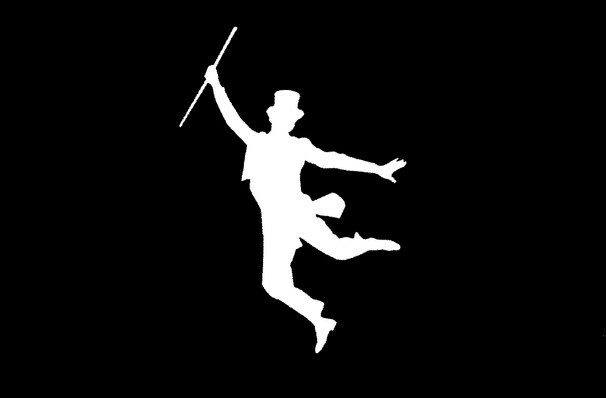 We are in no way associated with or authorized by the Victoria Theater and/or Maurice Hines and neither that entity nor any of its affiliates have licensed or endorsed us to sell tickets, goods and or services in conjunction with their events.